Do these sound familiar? You must have cried something similar at least once in your life as a fan, and I could totally relate! Being a K-Pop stan is costly. This is something I learned the hard way when I entered the fandom a little over a year ago with a decent account balance, only to feel as though I’ve gone bankrupt a few months later with more artist merchandise than money in my possession. 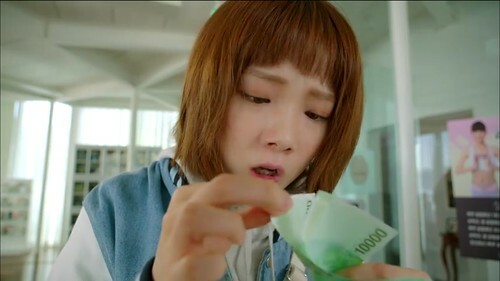 True enough, it’s all fun and exciting until you realize that you pretty much have nothing left to spend for more important things and – well, let’s all be honest here – more K-Pop. So what’s the right thing for a fan to do? Iponing, of course! There’s no better time to start saving up than NOW. Even though it has not been announced that your favorite group is coming to the country or that they will be releasing a new album soon, it would be smart of you to grow your fandom fund as early as now, so when the time comes, you wouldn’t have to worry about not being able to afford joining a group order or being part of #TeamBahay – slash – #TeamLabas. All of us have something we want to save up for, and for fans, it’s most likely a concert, a comeback album, or a dream trip to the mecca of K-Pop and K-Dramas, South Korea. Now, think about what yours is and focus on that goal. Make a rough estimate of the price that comes with it, then use it as your target. It may seem tough to achieve at first, but not impossible. You’ll feel much more motivated to save up if you have a definite goal in mind. So is it the old school glass jar or cutesy piggy bank for you? Whatever you choose, know that deciding on where to keep your savings is crucial. Make sure it’s accessible and convenient yet secured. Personally, I prefer keeping my savings in the bank. I have an account that I maintain to fund my wants and wants only, which includes my K-Pop splurges. This prevents me from touching the amount I have in my actual savings account, which I consider strictly off-limits. They say a bit of sacrifice goes a long way. But don’t you think “sacrifice” is too dramatic a word? If anything, it makes the whole idea of saving up more daunting! So I say compromise – not sacrifice. How? Well, there are “little” things you spend on daily that you can get through more cost-efficient means. Start keeping track of your expenses, and check which items you can cut back on or, better yet, ultimately stop paying for. For instance, instead of buying coffee at your favorite café, why not just make your own brew at home? Ever considered bringing packed (and healthier) meals to school or work? How about bringing your own bottle of water or snacks to curb those sudden cravings? While the small stuff you spend on may not be that noticeable in your everyday spending pattern, such expenses add up in the long run. Think about it, if you get your caffeine fix for P120 every weekday for six months, that amounts to P15,480, which is more than enough to cover an SVIP ticket to your favorite group’s concert, or, maybe, even a roundrip ticket to Korea! Control is a word I find synonymous to discipline, and saving money requires a lot of it. Before you buy anything – and I mean anything – hold a mental debate whether or not you need it. If you hesitate even just a bit before saying yes, then, perhaps, it’s more of a want than a need, and you’re better off not buying it at the time being. There are a lot of purchases I made in the past that I totally regret now. So save yourself the guilt, and just give up on that item you know wouldn’t come in handy in the near future. Earning some extra on the side helps A LOT. It doesn’t matter how old you are. If you’ve got skills you know you can use to earn money, make good use of them. For instance, if you have a proclivity for making fan art, then why not sell some unofficial merch? A friend of mine, who has a good hand in graphic design, produced bags, coin purses, and banners – all printed with a design she made – to sell in time for a boy group’s then-upcoming concert. She did it out of fun, so she was really taken by surprise when the items sold out quicker than expected. She even had to make another batch to meet the demand! What’s great about this is that you get to make money while doing something you enjoy (hone your skills even! ), and that in itself is already gratifying. When I started my K-Pop collection, I thought I will never part with any of the items I’ve got. Albums, posters, magazines – name it, I probably have it. Or at some point, I did, because I’ve sold some of them now. Yes. I hear you. How could I? To be honest, it took me a while before I decided to put some of the merch I had on sale. I had a hard time acquiring them, they cost a lot, and they reminded me of the good ol’ times when I was head over heels in love with the artists they feature. But the thing is, they just take up space. I touched most of them only once, and that was when I took them out of their packaging. Some even remained unopened! It then occured to me that, perhaps, they’re better off with other fans, who would actually use them and not just stash them, away and out of sight. So I took pictures of the items, posted them on Twitter and various K-Pop buy-and-sell groups on Facebook, and waited for interested buyers. While I didn’t get the same amount I bought the items for, I got part of my money back, made some fans happy, and cleared a bit of space for future (hopefully useful) purchases. You might find this a strange tip to include on this list, but hear me out: No matter how tight things can get, you have to take care of yourself first and foremost. If you think skipping meals or stressing yourself by working overtime regularly is the answer to your money woes, you’re wrong. You’re only making things worse for yourself, and the last thing you’d want to spend on are hospital fees and medication. So no matter how cliché the saying “health is wealth” is, believe in it. Saving up isn’t exactly the most exciting phrase out there, so why not spice up your game with money challenges that will make saving money more fun for you? From saving an amount in increments to saving a particular Peso bill, there are several challenges that financial advisors highly recommend and swear by. Feel free to look them up online, choose what you think is the most doable for you, and jump right into it! So that’s pretty much it! I know that tips are easier said than done, but trust me when I say that your hard work will pay off, and once you achieve your goal, it would be one of the most rewarding experiences you’ll ever have.